Join us for an enriching nature-based experience in Spanish and English for children ages 2-4. Offering hands-on early childhood activities and using a model of parental cooperation, this exciting new class will empower families to embrace bilingualism and immerse children in an interactive dual-language play group. 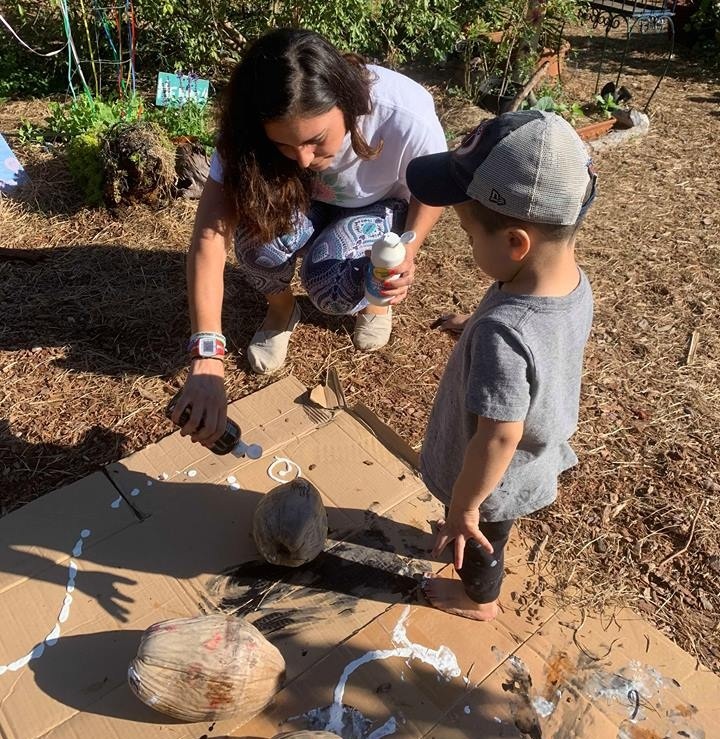 Bilingual Nature Play program is facilitated by native Spanish speakers Fernanda Pineda-Wolfson and Govinda Bilges. Parent/Caregiver participation is required for this class. Spanish-speaking/multilingual households have increased exponentially in the United States, and many monolingual parents have shown interest in exposing their children to foreign languages from an early age. This bilingual nature play program seeks to provide an enriching, flexible, nature-based experience for young children. 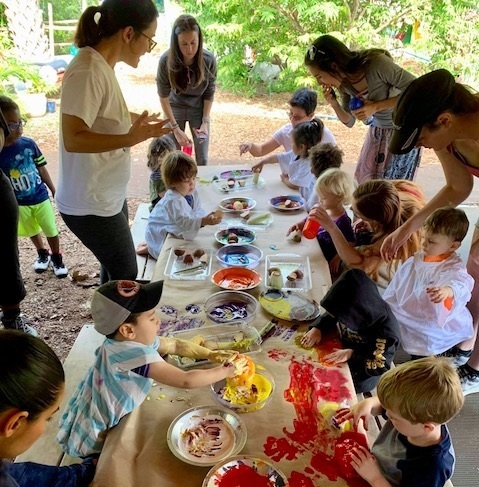 Using an emergent curriculum, developmentally appropriate practices, and a model of parental cooperation, this program aims to empower families to embrace bilingualism, with the added benefit of making new friends and enjoying the garden. Created for children ages 2-4 and their parent/caregiver. Each day hands-on activities will be facilitated in Spanish/English and learning tools, curriculum and supplies will be provided. Water and Snack provided at each session. Please bring your child a change of clothes. Parent/Caregiver participation required. All adults take an active role in observing and discerning their child's interests and supporting them to engage in the learning activities. Please submit an application using the form below to be registered in the program. You will receive confirmation of enrollment via email. Space is limited. Once enrolled, please register in advance for your class online to secure your spot in the class. Born and raised in Mexico, Fernanda is a passionate educator with over 15 years of experience. She has worked in the Philippines, France, Mexico and USA. As a native Spanish speaker she is passionate about sharing her language with youth and families. As an active volunteer at DBCG, she has shared stories and songs in Spanish at many of our events. Fernanda is the founder of Global Story Time at Swinton Community Garden. Her family is her treasure and when she is not with her toddler and husband, she enjoys reading, gardening, and cooking. Born in Brownsville, TX, along the U.S. Mexico Border, Govinda was raised bilingual and bicultural. Traveling, sometimes daily, between the two countries along a 200 ft. bridge was the most impactful aspect of her young life and steered her career path toward the servicing professions. She has a Master's of Public Health from the University of Texas, Health Science Center. She has worked in health promotion, health education and bilingual education. She is currently pursuing a nursing degree with a focus on maternal and child health. Her heart is complete when she is with her toddler and husband.